Traction Therapy There are	12 products. The diversity of traction equipment ensures that you'll find the perfect product to fit your patients' needs. Traction treatments reduce further problems in dislocations or fractures and are important for your patient's full recovery from an injury. 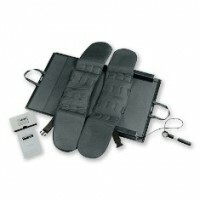 Traction equipment can also help to relieve pain and help the person to exercise the problem area. You can recommend traction equipment for the patient's home use or have them use your clinic's equipment. Types of traction equipment include cervical and lumbar -- and you can also purchase traction tables in all shapes and abilities. 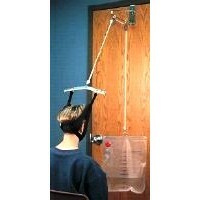 Cervical Traction equipment comes in many unique structures. Purchase a vertical traction kit with a head halter and a 20 pound water weight bag that's simple to use, but is a powerful traction tool. 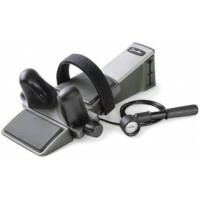 Some traction equipment systems let you use patient data cards to set up customized treatment sessions and feature intermittent, cyclic and static traction options. 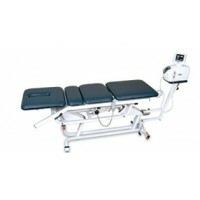 Lumbar Traction equipment is designed for the ease and comfort of the patient. 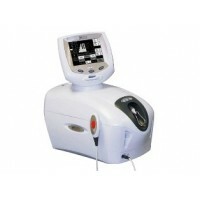 New innovations feature touch screen interface, patient data cards and tension parameters. Some require no setup and are easily transferred from clinic to home in rolling carrying cases. Many come with pumps and gauges to ensure exact treatment planning. 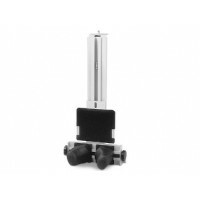 Traction Therapy for your patients are accessories that play an important role in your traction treatments. 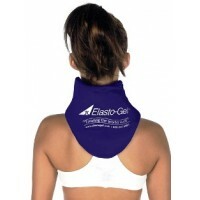 They're sturdy, very affordable and are available in a wide variety of styles. 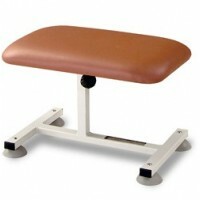 Some traction tables are adjustable to let your patients move on and off the table in safety and ease. Don't worry about bacteria creeping into an infection when you purchase a treatment table made from heavy vinyl and "Permablok" protection. 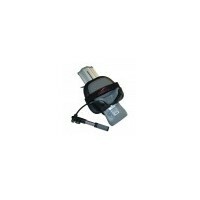 You can also purchase them with footswitch controls that let you effortless maneuver the table. 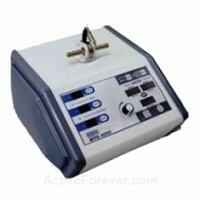 Have a variety of traction equipment on hand in your clinic to meet your patient's every need. 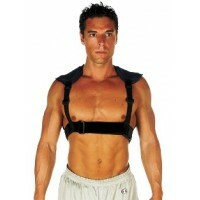 You'll find both expensive and inexpensive equipment available and styles to fit each injury and condition.